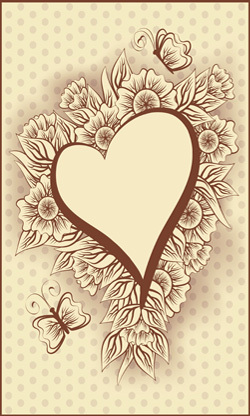 Welcome to Lotus Tarot’s Free Love Tarot Reading. Below are three cards that have been drawn for you. The cards are listed in three positions, explained below. 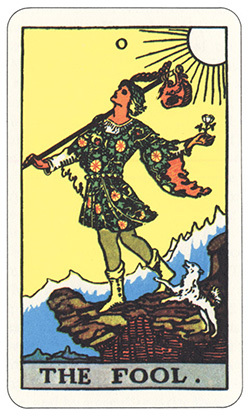 The Fool Card is usually trying to show you that anything could happen, and not to look for certainties! Things are likely to or have changed in a previous connection with this person, in a heartbeat. It is important to prepare yourself for any outcome when you see this card. While there is a lot of fun to be had, you shouldn’t get too worried about what’s around the corner, however, you should tread carefully. 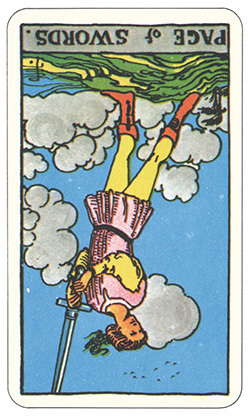 The Fool Card is usually pretty good news, with a taste of uncertainty and instability. This card is trying to tell you that you have to be careful with your trust. Humans, by nature, falsely believe that any person who is worthy of their time will be a positive experience. It is important to remember that sometimes people who bring about the worst encounters in your life, are also teachers of your greatest lessons about what you want and don’t want in a connection. While this card certainly isn’t the end of the world, it may feel like it given your current situation. It’s not a very good omen regarding whether the other person is going to be worth your time. When the Magician greets you upside down, you would be wise to take care. Just because everything may start off well doesn’t mean that this connection is going to go the distance. You both have the tools to build a healthy and enduring relationship, but where there is free will, there’s an element of manipulation and control when the Magician is on his head. Tread cautiously when it comes to depending too much on the future of this connection because it’s not guaranteed. This relationship might not be in your best interest, no matter how charismatic and appealing the other person may appear. 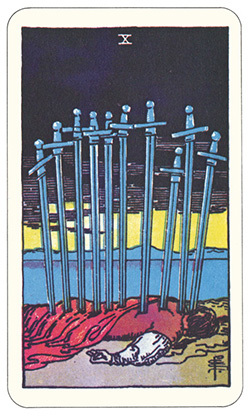 There may be a third party trying to get involved and interfering when the Page of Swords is reversed. If this is indeed correct, then it is imperative that you don’t let them have any power or control over you. However, if this is you, getting involved in somebody else’s connection, then you need to examine your motives. Communication also seems to be a problem. This card can mean there is confusion and that the answers you are looking for, are going to be vague, at best. This card usually means you need to re-evaluate and be wary of intrusions into the relationship, or a reminder to mind your own business. The Empress is indicating that the future of this connection looks excellent. While The Empress is a good card to have on your side, you must still remember that nothing is certain. What she is showing you is that there is fantastic potential for something fabulous to happen. An optimistic card for sure, and a reminder not to rush into anything, but instead nurture it over time. 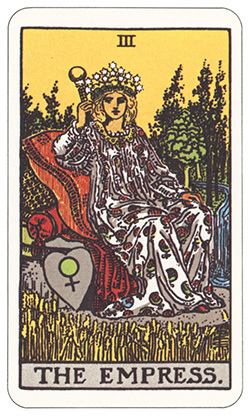 The Empress also represents fertility. A pregnancy may be involved. 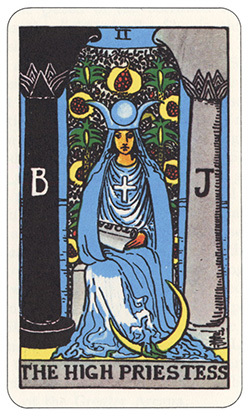 The High Priestess is a great omen. There is a whiff of a bright and fortunate future with this connection. This card also signifies that the other half of the connection finds you very attractive, and this gives you an upper hand and some power. Be prepared to back out though, if of course you begin to feel it is not right. The wisdom taught here is that even though this connection could be a winner, you must remember that you can always move on if it turns sour. First Position: Are Our Souls Known To Each Other? Cards displayed in the first position can provide you with a look into any compatibility that you may have together. There is a common misconception that everybody we meet in life is predetermined or has form of spiritual connection. It is incredibly rare for your soul to meet somebody it already knows. This cards position can indicate that you need to be attentive and assertive to any connection. The connection may be a hard one to accept, as sometimes the connections are not pleasant, however, they still hold an important lesson. Second Position: Is The Relationship Worth My Time? A positive outlook on connections and all relationships in life is essential. Regardless of whether or not it’s a happy, loving relationship, or an unhappy, and painful one, all connections are lessons and experiences we must learn from. The experience, like all experiences in life, can offer personal growth and will always have at least one lesson associated with it. Specific questions regarding whether or not the connection is worthwhile, may be answered in this position. While the drawn card will give you advice, the ultimate decision is up to you, and to learn from the experience. Third Position: What Does The Relationships Future Look Like? 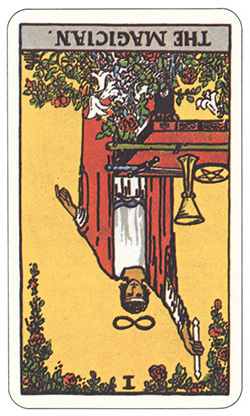 The card drawn in this position, can give you a good indication of what is to come. People often keep drawing a new reading, only to find that the cards are different, specifically in this position. It is said that this is because the previous reading you received, has already altered your awareness through the knowledge it passed on to you. It is important to note, that the cards are not the be all and end all of the relationships potential path. Of course, all relationships need work, and a card in this position can be a good indicator of how easy or difficult obstacles will be to overcome.